What a difference strong daylight makes! 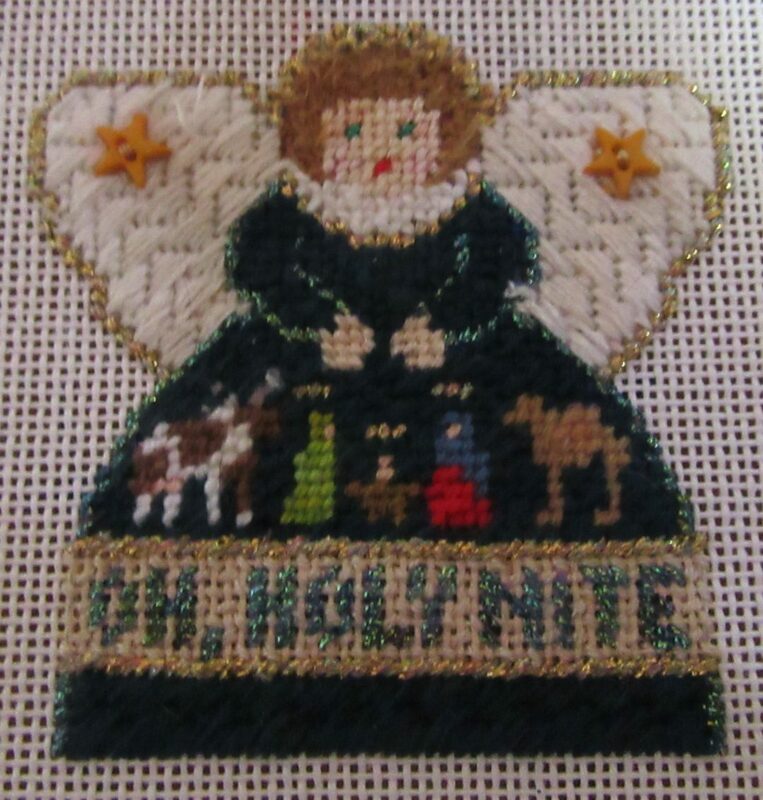 Because I could stitch outside last Sunday I was able to finish my nativity angel, above. That makes this year’s ornaments stitched and going to the finishers this week. My road trip got postponed until the spring so I was here during much of the floor madness. I’m hoping to get lots of the move-in completed tomorrow, so I can get back to work instead of camping out. The fruit of camping out has been working on the small nativity which is finished. 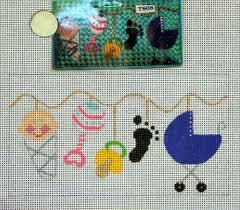 With that completed I’ll work on a delightful Princess & Me baby ornament for a brand new little girl, above. I changed the background to pink and am using stash threads for everything else. I was wondering about the brand name of the metallic thread you used on the angel. It was an overdid 1/16″ ribbon from Color Complements. She sells on Easy & has great threads.